Interns Insight: Can a franchise be profitable? With so many people starting up their own franchise businesses using a government Start-up loan, here are some key facts on franchises for you to consider when thinking about starting a franchise venture. The first, most important thing is can a franchise business be profitable. According to the British Franchise Association (BFA) statistics 2014 there are 930 franchise businesses in the UK. These businesses employ 561,000 people, of which just under half are in full-time employment. The BFA states that the overall contribution of franchising to the UK economy is £13.7 billion; which equates to just under 1% of GDP, a significant financial impact. Therefore franchise businesses do make a profit. However how can you be certain that this profit lies with you, the franchisee, and not the franchisor from whom you purchase your franchise business? The BFA statistics show that there 22,400 franchisees in total, 92% which are profitable. The most successful franchisees are clever in their decision over which franchise to join. 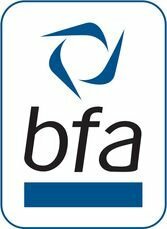 They ensure they check the business is an accredited member of the BFA and that it answers and fulfils the 50-questions-to-ask-a-franchisor on the BFA website (https://www.thebfa.org/join-a-franchise/50-questions-to-ask-a-franchisor). A savvy potential franchisee will not rush the decision to take on a franchise business. Startup direct can fund up to £25,000 of a franchise fee to help you fund a franchise opportunity. However we do have loan responsibility and will not fund a franchise which we believe cannot be successful. Meeting people at the franchise fair showed that the potential for a franchise business is huge but it requires careful pre-purchase checks and vigilant planning to ensure the business is successful. With the right Start-up loan funding, the right franchise and the right support, franchises continue to raise capital and positively contribute to this country’s economy.